Welcome to the first Ukrainian Music Festival in Sweden – Rethinking Europe: Ukraine. Download the festival program (PDF)! In addition to acquainting the Swedish public with Ukraine’s hidden musical treasures, the first ever Ukrainian Music Festival in Sweden puts children in the centre, since they are the ones who will shape the future of Europe. 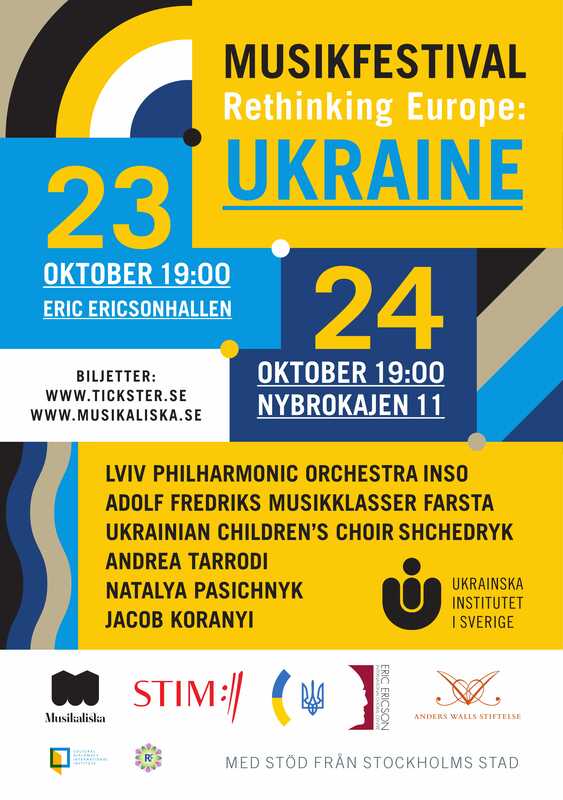 During two evenings, two big concert halls in Stockholm will be filled with 150 young talents from Sweden and Ukraine: the oldest and most well-known Ukrainian Children’s choir Shchedryk will on the stage meet children from Adolf Fredriks Musiklasser Farsta, the INSO Youth Orchestra from the Lviv Philharmonics, and young soloists – prize winners of international competitions. Many of the children have had to leave their homes because of the war in Eastern Ukraine. They are now given the opportunity to show their talent in Sweden and perform with famous Swedish musicians Andrea Tarrodi, Natalya Pasichnyk, Jakob Koranyi. The audience will also hear the first performance of the specially commissioned piece by Andrea Tarrodi – Songs of the Sky, Concertino based on a Ukrainian and Swedish folk melody. Inaugural concert where the children’s choir Shchedryk meets children from Adolf Fredriks Musikklasser Farsta on stage. Many children from the choir are refugees from the war in Eastern Ukraine and have experienced the horror of war. With music as the unifying factor, they can build relationships with Swedish children in a concert about music and humanity. Children’s choir Shchedryk, Adolf Fredriks Musikklasser Farsta, the INSO Youth Orchestra from the Lviv Philharmonics and five young soloists – refugees from the war in Ukraine – meet well-renowned Swedish musicians Andrea Tarrodi, Natalya Pasichnyk and Jakob Koranyi in a final Gala Concert. 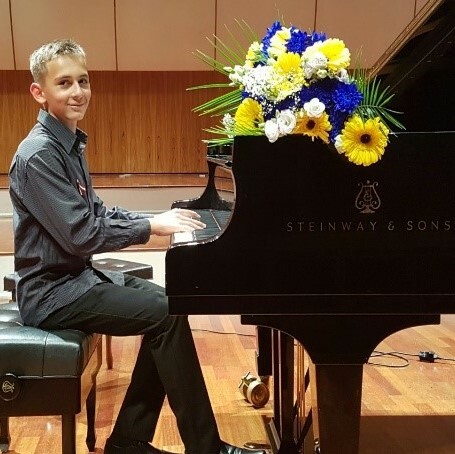 In 2014 the charity organization Responsible Future helped Maksym, then 12 years, to move from the war zone in Donbas to Kyiv where he currently studies at the Lysenko Special School for talented children. He lives alone in the boarding school, while his mother and father has no means to move from war zone. He won prizes in several international music contests, and was a finalist at the Vladimir Horowitz International Piano competition. The 11-years old twins Sofia and Anna Kyslyak were born in Donetsk and fled the war together with their mother. Both their violins were stolen, a horrible event for any musician, so they now play on borrowed violins. 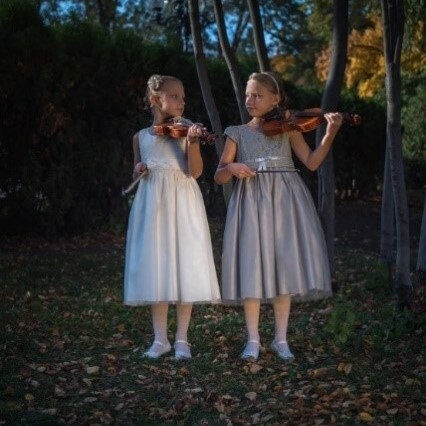 Sofia and Anna, who both have received many First Prizes in international competitions for children, now live in Kyiv and study at a children’s music school. The 9-year old violinist Eugenia Dzhalalova was born in Lysychansk, Luhansk region, and fled the war together with her mother and grandmother. She now lives in Kyiv where she studies violin at the Lysenko Special School for talented children. 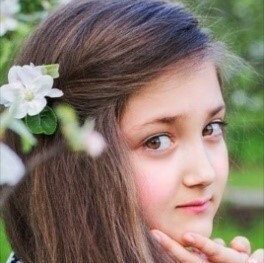 She has received several prizes in competitions for children. 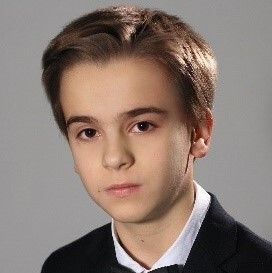 The 10-years old oboist Stepan Syvohip lives in Lviv, the big cultural city in the west part of Ukraine, and study at the Solomyia Krushelnytska Special School for talented children.